I know there are a lot of you out there who likes thin pancakes or what the Croissant people call as crêpe, and I am one of you. I love how versatile this pancake is. I mean you can enjoy it as a savoury or sweet snack, breakfast, light lunch, and of course; as a dessert. It's all simply depends on the filling you use and how many pinch of sugar you put in your batter. I have read so many variation of pancakes from all over the world and Indonesia has its own take in the pancake world; Dadar Gulung, the famous green pancake. 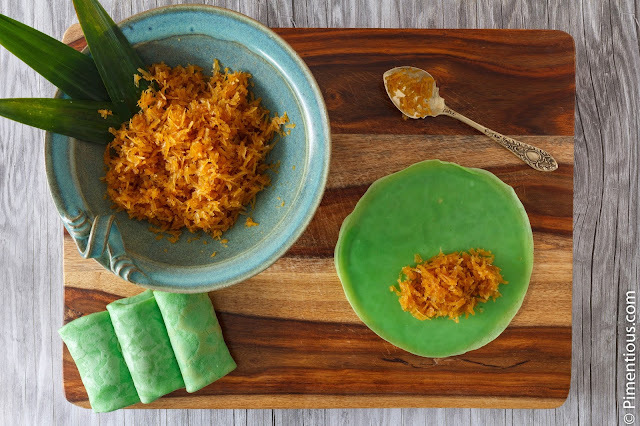 Dadar gulung (means pancake rolls, literally) is a classic sweet snack/desssert from java with sweet grated coconut filling (unti kelapa). The pancake itself is green from the Pandan leaf extract, which at the same time gives the pancake an aromatic leafy taste. To add the exoticity (is that even a word??) 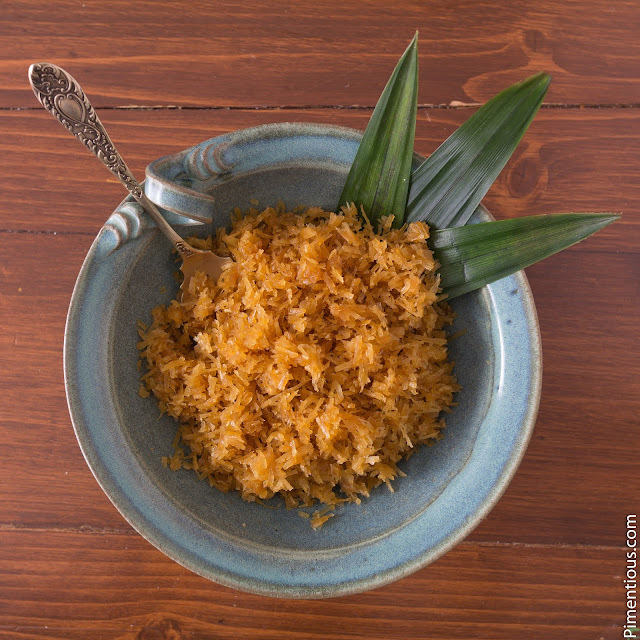 to it, the filling is made of caramelized shredded coconut with palm sugar. Oh Em Gee, right?! Meanwhile, let start to make those exotic green thin pancake! Put the cooked pancake on a plate, and repeat until the remaining batter is finished. PS: normally the pancake is not cooked until it gets too cooked dry and brown, so keep an eye for the whole process as it gets burn fast. Now is the folding time!! I made my first cooking GIF ever to show you how easy it is to fold this pancake rolls. Check it out! Okay, my GIF looks pretty basic and I need more practice, but it's a beginning! 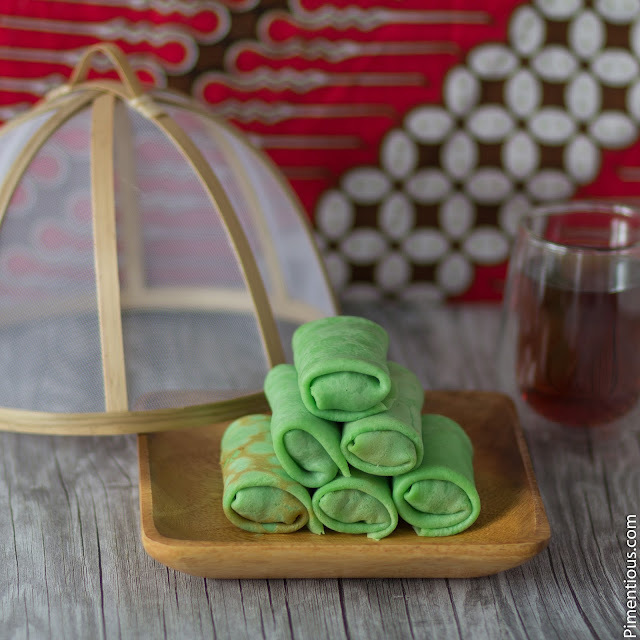 Thank you for sharing the wonderful Indonesian recepies ! Terima kasih! !